“Did you not see that when your creative force turned to the world, how the dead things moved under it and through it, how they grew and prospered, and how your thoughts flowed in rich rivers? If your creative force now turns to the place of the soul, you will see how your soul becomes green and how its field bears wonderful fruit.” ~ Carl Jung. The Red Book. Page 236. When Lewis LaFontaine posted this quote on his Jung site the other day I was inspired to write about it, but unsure how to explain its importance to readers unfamiliar with this language. I knew some would wonder: What is the power of the creative force? What did Jung mean by turning it to the world and then to the soul? And why should I care? What does this have to do with me and my life? I know some people wonder about these things because there was a time when I did too. One of the first books I read on Jungian psychology 25 years ago was The Kingdom Within by John Sanford. I was enormously excited about the new insights I gained from it, but couldn’t understand why Sanford treated the release of creativity as a major accomplishment. Why would I care about being creative? I just wanted to understand myself and make the pain go away. It took years of inner work to realize that creative imagination was what unlocked my true self and made the pain go away! To create is to bring new life with exciting potential into your world. Creative imagination eases your load and enriches your days. It makes you feel better and inspires you to be a better human being. Most amazing of all, it frees you from the prisons of fear and time and lifts you to eternity: the sacred “zone” of the gods. The creative force is, like the imagination which activates it, a natural capacity of every psyche. Tapping into it transforms our inner and outer lives by helping us find and express our individuality in ways that are unique to us and benefit others. To turn our creative force “to the world” is to manifest a new idea or unique body of work that will prove our worth and improve the human condition. People with this drive become artists, designers, actors, composers, musicians, dancers, architects, inventors, photographers, poets, playwrights, writers, chefs, and anyone who loves and engages in creative work of any kind. But Jung’s quote suggests that while turning the creative force to the world has enormous value, there comes a time when a new focus is called for. Indeed, the inability to release our attachment to the outer world and redirect our creativity toward the inner is the psychological basis for the stereotype of the tortured artist who has sold his soul to the devil for a lifetime of worldly acclaim. Jung is saying that if we can “see” (i.e. become consciously aware of) how well the proper use of our creative force serves us during the first half of life, and if we can trust it not to abandon us if we redirect it in service to the inner life during the second, our whole life, youth and age, inside and out, can be transformed into a work of art. To turn your creative force to the soul means to take the gift of your life seriously and make the search for healing, self-knowledge and meaning the primary focus of your creativity. This entails three main tasks. First, approach your physical and mental life with the attention an artist gives to her art. Immerse yourself in the details of your body’s subtle sensations, your mind’s thoughts, emotions, values, attitudes and recurring issues, and your dreams, wishes, fantasies and intuitions—especially the ones you don’t like to admit to—until you can see them through the eyes of a lover. Second, look beneath the surface of every form of art, especially myths, fairy tales, religions, literature and film to find the underlying similarities between these creative reflections of the human soul and the processes of your individual soul. Third, accept all the insights you acquire, both the “bad” and the “good,” and find creative ways to integrate them into your awareness. You can do this alone, in a group, or with the help of a teacher, mentor or therapist. The important thing is to engage in healthy activities that absorb your attention, help you understand yourself, and alleviate your pain. Ebook versions of The Bridge to Wholeness and Dream Theatres of the Soul are at Amazon, Kobo, Barnes and Noble, Smashwords, and Diesel Ebooks. Healing the Sacred Divide can be found at Amazon and Larson Publications, Inc. If you’ve never thought of dreams as having any relevance to your waking life, I can assure you, they do. This one which came at a pivotal time in my life convinced me beyond any doubt that some unimaginable, unconscious Mystery which dwelled both within and outside me knew what was going on in my conscious life and had something to tell me about it. I’ll share the dream in this post and comment on it in the next. Dream #843: Two Snakes in the Tree of Life”. Someone is telling a story. I watch from afar as the events unfold. “Once upon a time a little green snake started his life in one side of a tree.” I see the snake. He is long and thin and his underbelly is the color of the inside of an avocado. “On the other side of the tree lay a huge, old, brown female snake, but the little green snake did not know it. He grew and grew until one day he decided to go on his journey and he entered the hole.” The little green snake slithers into a hole in the tree and disappears. I look to see if his head comes out of the hole on the other side where the big old female snake is, but it does not. Maybe the way inside the hole is long and winding. “It took him a long time of traveling and he was enjoying his journey, but eventually he came out on the other side.” His head peeks out of the hole. Will he see the big snake? No, he turns right and takes a narrow spiral path that curves around the tree to the left, to where the big snake is waiting. “The little green snake slid along smack into the mouth of the big snake.” The green snake’s head peeks out of the side of the big snake’s mouth. The big snake munches down on his head twice. Chomp. Chomp. The little green snake’s face shows no fear or distress or pain. Maybe this does not hurt. Maybe he has no idea what is happening to him. I hope so. Someone else says, “Well, what if he fights back?” I wonder how he can possibly fight back with no hands or arms or legs. There seems to be no hope. He survived! He did not have to die and he turned into a human! This is the best possible ending to the story. Little Green Snake: An archetype that has many possible meanings. Because the snake constantly sheds its skin, it symbolizes transformation, rebirth, and perpetual renewal. The color green, the color of the annual renewal of nature, reinforces this meaning. The Kundalini serpent of Tibetan yoga, which is said to be coiled at the base of the spinal column, symbolizes the cosmic evolutionary energy that accompanies growing spiritual awareness. In this dream, I believe the little green snake represents my masculine spiritual striving for transformation, personal empowerment, and individuation. Tree: An archetype of individuation; spiritual development; androgyny. Brown: The color of the ‘feminine’ earth. Female Snake: The ancient, earthy, natural feminine; the archetypal Great Goddess or Great Mother, which has the power of life and death; my feminine essence. Hole: An opening into the unknown, or spiritual world. Since it is a circle, also the Self. Right: A suggestion that the snake is headed in the ‘right’ direction; the direction of consciousness. Onlookers: Other aspects of my personality. Cowboy: A rugged individualist, a mature individuated animus. These were my associations to the symbols twenty years ago when I was working on this dream for inclusion in Dream Theatres of the Soul: Empowering the Feminine Through Jungian Dreamwork. I no longer see the cowboy as a “mature individuated animus,” but at that time my animus was still in the throes of youthful heroic swagger. I forgive myself (and him) for being so full of ‘ourselves.” My body was no longer young when I had this dream, but my ego was, and inflation always shadows a newly-empowered ego. I’ll share what I wrote about this dream next time. Meanwhile, I welcome your associations. My friends, I just tried to reblog a post from another website for the first time and thanks to Francesca, a thoughtful reader, disovered that I failed miserably. So here I go again with a different method! I hope you’ll let me know if it works!! This post about the self-knowledge that dreams can bring was written by certified dreamworker Tzivia Gover and can be found at her blog, http://www.thirdhousemoon.com. I loved it and wanted you to see it too! Early last summer I accepted a last minute invitation to visit a friend who lives two hours away for a barbecue. With no planning I jumped in my car and soon I was in my friend’s kitchen helping her rinse greens for a salad, while others prepped the grill and set the table. I spent the day playing with a little boy on the tire swing under the Chestnut tree, eating chicken hot dogs with the group, and later driving to a lake where we kayaked under a serene blue sky. Floating there on the lake in a small blue boat, my yellow paddle pushing me past the white flowers sprouting from lily pads, I felt my heart pulsing with joy. 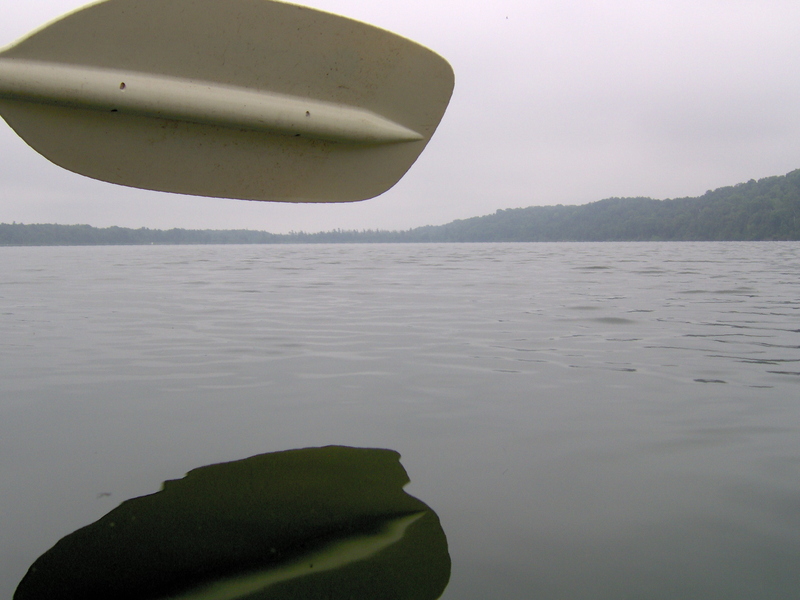 This past winter, when I felt cold or lonely, I would remember that day—the painterly light animating the tall grasses in the field behind my friend’s house, the trees, and the buttlerflies whispering on the breezes, and the easy company of old and new friends, and the peace of paddling on that glimmering lake. The day was sweet. But reflecting on it and savoring it in the months that followed, was even sweeter. I don’t need to convince you that paying attention to happy moments like this one, and savoring them afterwards, adds joy to your life. Such a day can enrich our lives just by having happened, and by being remembered. Or we might go a step further and try to learn something from it: This is what happens when I take a chance and say yes to a last minute invitation, for example. Yes, my friend I’ve had days—I mean dreams—like that, too. Let’s take the days, first, because we all believe in those. For example there was the day a friend who’d always been sweet and cheerful turned argumentative and angry. Or the day I took my seat on the ferry for a weekend getaway only to realize, that I’d left my wallet at home. Or the one where my students refused to listen to me and I came home hoarse from asking them to quiet down. I could choose to ignore those days because they too are bizarre, nonsensical, and anxiety-infused. But I’m not that kind of person, and since you are reading this, I’m guessing neither are you. Instead, I reflect: What happened? How do I understand my friend’s sudden change in behavior? What did I learn about my inner resourcefulness from embarking on a trip with no identification or money? How can I speak to my students so they will want to listen? Do you see where I’m going with this? It’s easy to see that we can learn from our experiences rather than turn away from them, and that this is the way to grow and become more skillful at navigating what life throws our way. And you can do the very same thing with your dreams. Forget for the moment about archetypes, analysis, ids, and super egos. Look at your dreams as experiences you can choose to dismiss as random hallucinations, or mine for wisdom, emotional insight, and original perspective. Working with dreams is no more complicated, than what you do naturally with your waking experiences. Simply pay attention to what happened last night, when you drifted into sleep and entered into other dimensions of consciousness. This week, accept your dreams as experiences. Period. Remember: interpreting and analyzing dreams is only one of many ways to respond to them. As you reflect on your dream notice: What new places did I see? What new, unusual, or unexpected abilities or facets of myself or others did I encounter? Is there anything from your dream, perhaps a color, character, situation, or feeling, that you’d like to savor or reflect on? Tzivia Gover, Certified Dream Therapist, is available to help you understand the meaning and messages in your dreams. Visit her at www.thirdhousemoon.com to view her upcoming workshops and for summer dreamwork discounts.